MyEDiary allows teachers to configure whether the homework they are assigning should be automatically assigned to new students who enrol in any of the classes the homework is assigned to. Step 1. 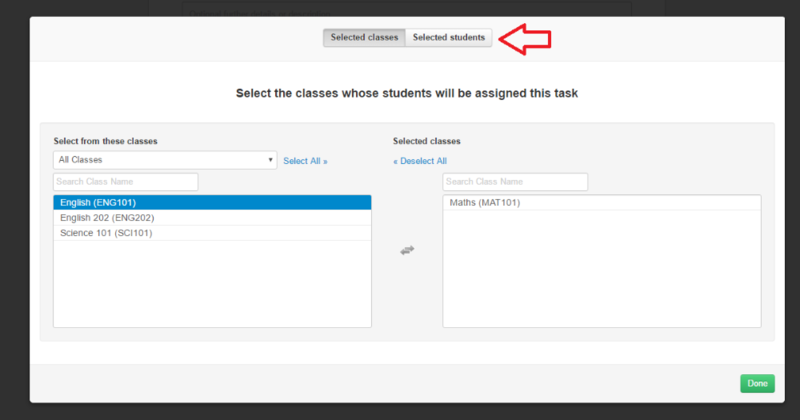 Select the class or classes you want to assign the homework to. Then click the 'Selected students' tab. Step 2. Ensure that the 'Assign to new students' checkbox is ticked for the class or classes you'd like this property to be applied to. Now, when new students join the class in question, they'll be automatically assigned this homework in their eDiary. For more information on assigning homework in general, please see our tutorial guide, How To Assign Homework.